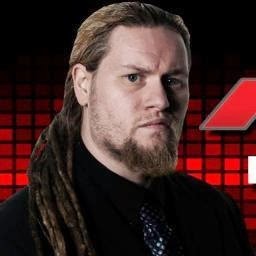 After last week's interview with SoCal Val, it's time to delve into the world of the wrestling Youtuber, as we speak to Marc Pearson. I've been told I used to watch World Of Sport while sat on my father's lap when I was very young ( I was born in 82 so its plausible) but like most people in the UK I really got into wrestling when SKY got the rights to the WWF in the early 90's. Our group of friends had a mate who we didn't like too much but he had sky so once a month, usually on a Monday afternoon we would run to his house after school and watch the latest PPV. I was hooked good and hard, I had the trading cards, the blue plastic ring and the figures and still have some of those old ppv's on original vhs recordings. 2. Tell us a little about your YouTube Channel and how that came about? Well, it pains me to say that I started on YouTube by uploading backyard wrestling videos. A few friends would get together and do backyard wrestling, but indoors!!! We thought we were the absolute greatest thing online and believe it or not we actually had quite a big following at one point. I watched a few wrestling q&a's at the time and a user called bigrob1991 (known today as Sarcastic Venom) said I should give it a try. He supplied me with a few questions and the rest is history. 3. Where do you see British Wrestling heading in the next five years or so and why? If British Wrestling continues the way it has since I became aware of it, it can only get better and better. We're in a really privileged position at the moment as there are so many good promotions that put on great shows every month. My worry is that people see how good these promotions are doing and want a piece of the action. It would be very easy for the market to become over saturated. But at the moment there are so many good promotions out there and pretty much the whole of the UK is covered by a great promotion. So many WWE fans complain about the product and you can see people love of the business dying out but if they just went along to a britwres show I guarantee that love will come back tenfold, there is nothing like live wrestling. My passion for the business was almost gone when I discovered Futureshock in August 2011, these days it's never been higher and that's almost nothing to do with WWE!!!! Shingo Vs Yokosuka 3 from DragonGate's UK Invasion 3 in Nottingham in November 2011 is the single best match I've ever seen be it in person or on TV. A drag out knock down war which featured the best selling I've ever seen. Just an incredible match from an unreal night of action. The other 2 matches are very hard as they change all the time, so today one could be the Undertaker Vs Shawn Michaels while tomorrow it could Rock Vs Stone Cold.